Tyler Deis is entering his sixth season with the Oilers organization, and his third season in the role of Head Coach / GM / Director of Hockey Development coming off a record breaking 2017-18 season and being awarded the AJHL & CJHL Coach of the Year. Tyler Deis joined the Oilers as an Assistant Coach for the 2013 – 14 season, and at the same time was contracted to provide on-ice skill academy instruction for the Foothills School Division PEAK Athletics Hockey Program. The following season, Deis continued with the Oilers in the role of Director of Hockey Development and has been administering this program for the past two season while utilizing Oilers alumni, coaches, players and guest instructors to provide a high level, development program for local minor hockey players. 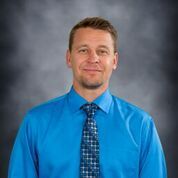 Tyler is an experienced teacher and coach with a Bachelor of Science and a Bachelor of Education from Minnesota State University, combined with a major in Physical Education and Athletic Coaching. Adding to his education, Deis commence work in 2005 on his Masters Degree in Psychology at the University of Calgary. After playing his Junior Hockey in the SJHL, Deis attended and played hockey at a Division 1 NCAA university for 4 years. Upon completion of his schooling, Tyler began his professional hockey career playing for the ECHL for 5 seasons. Upon returning to Canada in 2005, he started his teaching and coaching career at the Edge School for Athletes where he instructed the on-ice Hockey Skill Academy for 8 years. Tyler also taught Physical Education at the Edge, and coached the Edge School Prep team. During his time at the Edge School of Athletes, Deis was instrumental in developing and administering their well-known Elite Hockey Program. Combined with winning many titles during his time as Head Coach at the Edge, Deis can put his name to both a Midwest Prep Hockey League Championship and the Canadian Sport School Hockey League Championship. Going into his third season as an Oilers Staff Member, Kyle Schussler, and alumni of the Okotoks Oilers who played during the 2006 – 2007 and 2007 – 2008 and was the recipient of the AJHL league Stewey Stewart Award in 2008, has joined us behind the bench. Kyle brings with him both hands on experience and a tremendous amount of practical knowledge. Having played two seasons in the AJHL as an Okotoks Oilers and moving on to Division 1, Dartmouth College for four seasons. Working hard both on and off the ice, Kyle obtained his B.A. and was the recipient of the Unsung Hero & Sportsman of the Year Award. Moving on to Ohio University he was able to complete his Masters in Sports Science while working as the Assistant Coach for the Men’s Hockey Team. Kyle will be assisting us both on the bench as well as in the role of Director of Sponsorship where he will be working with local business to create new and re-newed partnerships with them and the Okotoks Oilers Organization. Mike is returning as the team’s Athletic Therapist/ Equipment Manager for his seventh season with the Oilers. 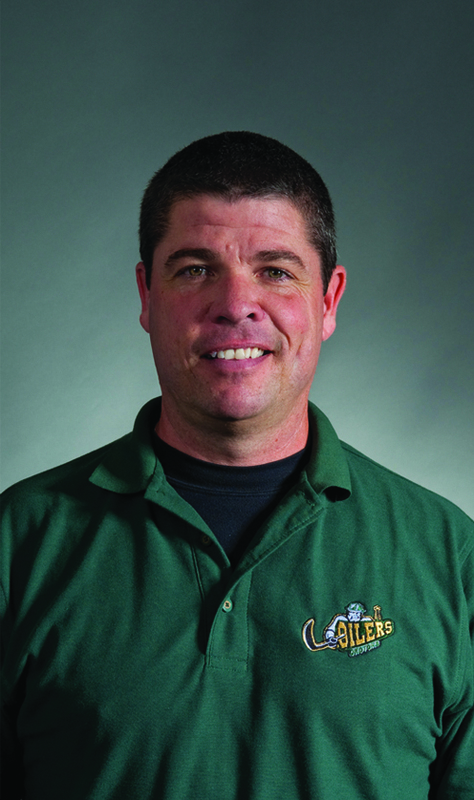 He has an extensive background in hockey, with 17 years of experience as a trainer. He graduated the University of Saskatchewan with majors in physiology and anatomy, minoring in Sports Nutrition. He is certified as a Sports First Responder as well. He also has years of experience as a strength and conditioning coach in both the hockey world and the private sector. Mike and his wife Sonya moved to Calgary in 2004 so he could be the Athletic Therapist with the WHL’s Calgary Hitmen. He has also been a trainer for the 2002 CHL Top Prospects Game, been on the medical team for two World Junior Hockey Championships, and volunteered for various Hockey Canada activities during his career. Mike has worked in many clinical situations during this time as well.